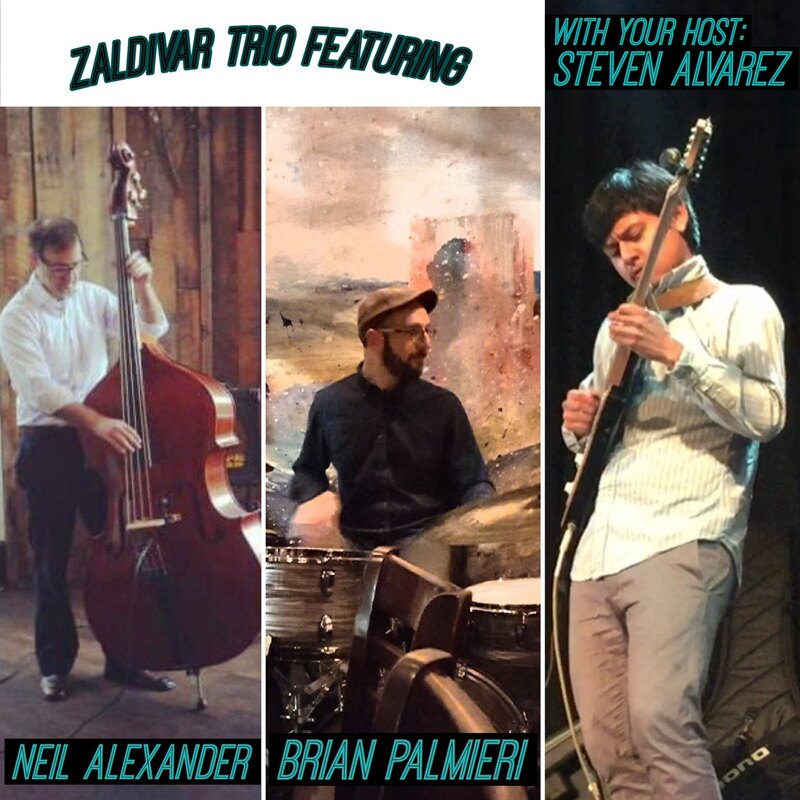 The Zaldivar trio is a new social music trio, hosted by Steven Alvarez on guitar and featuring Neil Alexander on the upright bass, with Brian Palmieri on Percussion. At times rotating featured musicians, the trio covers various styles of music, with jazz as a primary focus. Much of the music of Charlie Parker, Thelonious Monk and Bud Powell is included in sets, to pay homage to the innovators of the jazz style, bebop.